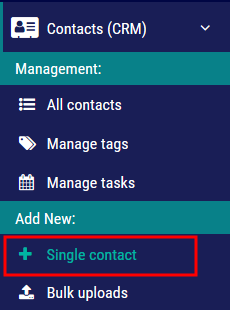 Step 1: Click on NEW CONTACT on the left-side main navigation. Step 2: Input in all known information. Step 3: Click ADD CONTACT to complete and save contact in system.